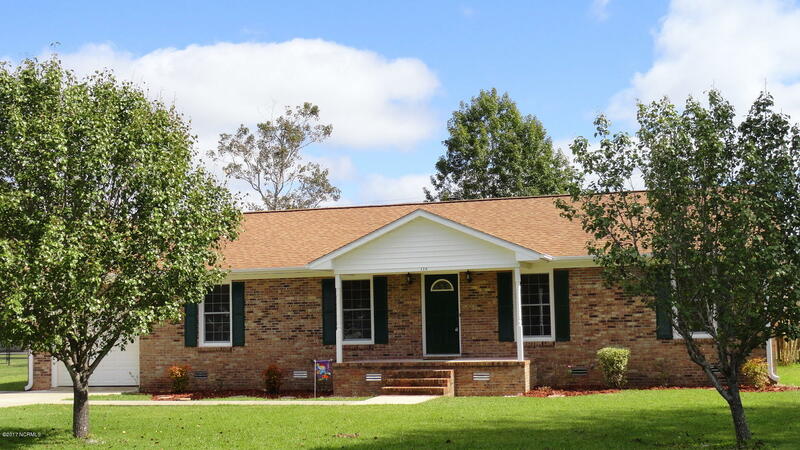 Great brick home with flexible floor plan! Large L-shaped living room/dining or separate dining room plus an eat-in kitchen. Lots of laminate in the home. All kitchen appliances will stay. Kitchen and both baths were updated by previous owners. Roof, heat pump and windows were replaced sometime before 2009. Fenced back yard, patio and covered front porch for out door living. Attached single car garage with shelving for storage. Convenient location for travel towards New Bern or Morehead City.